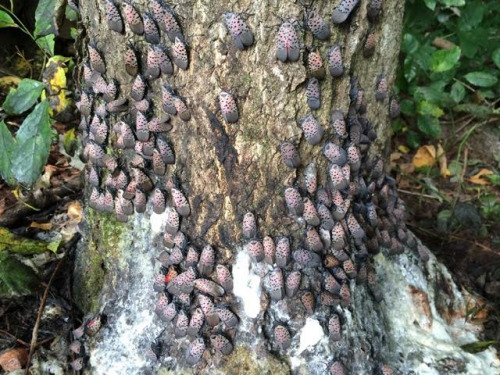 Dr. Kelli Hoover in the Department of Entomology is seeking a highly motivated individual with expertise in population dynamics and spatial ecology to develop a sampling protocol for population dispersion and abundance of spotted lanternfly in forest landscapes. This work will be done in collaboration with colleagues involved in risk-mapping, quantitative forest ecology, and plant physiology. A PhD is required in Entomology, Statistics, Population Dynamics, Ecology or a related field. In addition, the successful candidate will have opportunities to develop their own research projects as time permits. The position involves working with a field crew, conducting experimental design and data collection, analyzing and modeling data (including aerial imagery), and writing publications. This project is led by Dr. Kelli Hoover, Professor of Entomology at Penn State, in collaboration with Dr. Andrew Liebhold, USDA Forest Service and colleagues at Penn State University. Applications accepted through March 31, 2019 or until a suitable candidate is found. Inquiries can be made to Dr. Kelli Hoover at kxh25@psu.edu.